In The Seven Basic Plots: Why We Tell Stories, Christopher Booker gives his answer to the age-old question of exactly how many basic stories are there. Seven, says Mr. Booker. Booker's book covers a lot of ground on storytelling and Jungian archetypes, and I highly recommend the whole tome. For now, like good scavengers, we want to pluck the meat we can use for our marketing. To that end, here are five of the story archetypes you can use, with some marketing examples to get your storytelling going. Wait, you ask, why are there only five archetypes covered here? I'm skipping Tragedy and Rags to Riches--not that you couldn't use them. But I don't feel they lend themselves as easily to marketing stories. But go for it if you like! Okay. Put on your story caps, and let's go archetyping! Everyone loves comedy. (Well, almost everyone, I do know some people ... but I digress). Classically speaking, comedy isn't the knee slapping, laugh-out-load, humorous stuff. Comedy uses absurdity and confusion as states to be resolved before the heroine can get what she wants and restore order to the world. In the modern application, comedy often stays in the absurd, funny zone, without explicitly resolving anything, but letting the juxtaposition of absurd to reality (or potential) speak for itself..
For a brand, this means you can drive recognition, show off your creativity, and highlight other capabilities in an oblique way--that is, not even directly showing any product or service. 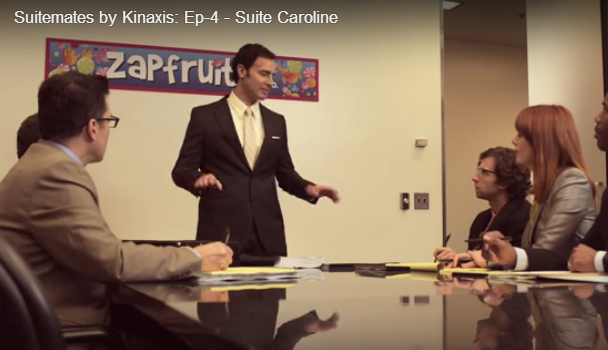 In its award winning Suitemates web series, Kinaxis poked fun at the supply chain solutions industry (and its competition) with humorous videos. The six-episode series features accomplished actors Kevin Pollak and Ray Wise as two imprisoned executives of the fictitious ERP vendor, BILK-Moore. The Buyral video from John St. in Toronto uses humor and some absurdity without ever truly resolving it. (You could say that the resolution, the right way to generate on-target traffic, is implied, but not specified.) The video does, however, show off the work of the agency behind it without ever overtly selling them (just a small logo placement at the end). It's pure entertainment that is on target for their client base. Be careful with the comedic approach. Truly good comedy is really hard. And it can be tricky to thread the needle between being funny and alienating a segment of people. In some ways, all the stories are a quest: the protagonist has an object of desire and pursues it. Our heroes set out on a journey in search of their treasure, fighting overwhelming odds (and a few evil villains) along the way. Oracle's Cloud Odyssey is an example of a brand using the hero's quest to communicate their message through an entertaining story. Usually, the Quest here is literally a quest or journey. But the quest doesn't have to be physical. For example, AT&T's Rethink Possible campaign, which ran from 2010 to 2014, told the story of the company's drive (or quest) for relentless innovation and human progress. Innovation is the destination. In this story, the heroes are thrust into a strange world that helps them grow or change in some necessary way. They then bring their new knowledge or perspective back to their world. These heroes are usually less deliberate on their voyage--it's often thrust on them. 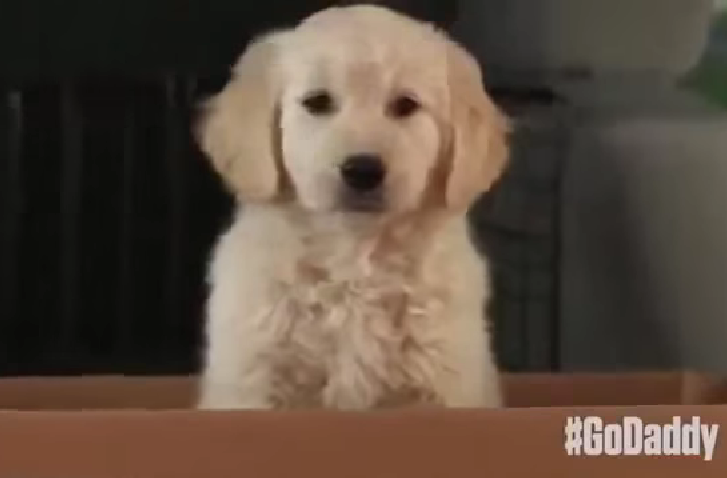 A recent example was that GoDaddy ad about the lost puppy, the ad that never made it into the Super Bowl rotation. Look closely at the last shot of the puppy. Although our hero lets out a whimper, his look shows he's been wisened by his experience, and he takes his fate with new, worldy aplomb. Corning's A Day Made of Glass video thrusts the viewer into the future world where advanced glass makes fantastical new human interactions possible. We take this view back with us to the current world. As do Corning's B2B clients like home, appliance, and device makers building the devices that will make up the Internet of Things (IoT). Overcoming the monster is just what it sounds like. Something big and scary is impeding progress and must be defeated to restore order. The Allstate Mayhem ads fit the bill in the B2C world (and mayhem certainly strikes businesses too). The monster doesn't have to be so literal. The famous Apple 1984 ad is an example of a monster of principle--the tyranny of conformity with Big Brother (or Big Blue in this case) is shattered by the heroine. For a decade or so, The Neat Company has been telling the "Tame Your Paper Monster" storyline to market its organization and productivity products. On one hand, the Monster fits well with B2B brands. The customer problem or pain makes a ready monster. So does protraying the competition as a monster. Using your solutions, the heroic customer can slay the Monster. Almost too obvious. Which makes it a challenge to avoid the formulaic and be differentiated, memorable. In a Rebirth, the hero is often reluctant or fighting the change necessary to reach their goal or restore order to the world. In B2C, Prudential takes a twist on retirement as rebirth in their Day One campaign . On the B2B side, in 2014, Dell relaunched a business-to-business effort that was a rebirth. The company was in a reinvention of it's own. Literally. They had emerged from a bruising battle to go private, and were making their market shift away from the declining PC business to services and software. Dell ran a B2B campaign built off their consumer oriented "Power to Do More" campaign to reposition the company in B2B from hardware to services and software. 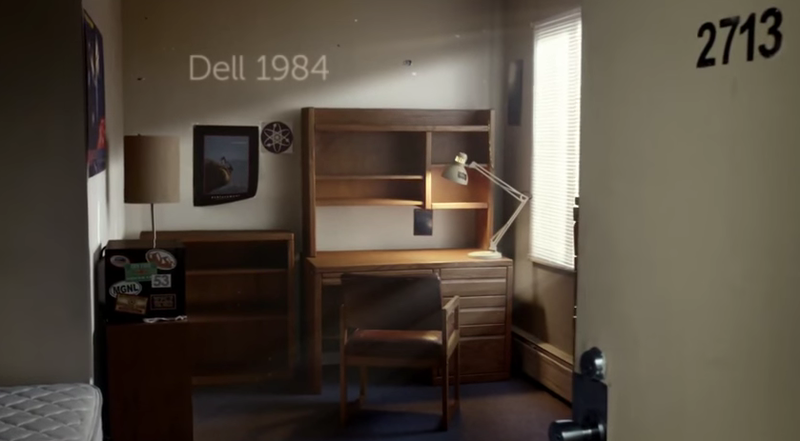 The "Beginnings" ad campaign highlighted Dell's rebirth with stories of businesses being born on Dell services and hardware. The idea was that Dell is highlighting and recapturing it's entrepreneurial beginnings through the story of its customers' beginnings tied to its own. It's natural to think in terms of movies and videos when talking about story telling and archetypes. But the heroes, heroines, monsters, and journeys can be told across many formats and channels, digital and otherwise. Oracle's Cloud Odyssey short film was played at events around globe, merging digital and presence marketing. Much of Dell's corporate rebirth story, in addition to an ad campaign by Y&R, was told in news, interviews, and press coverage. Stories are great vehicles to engage customers through not just sharing of your content, but also with their user generated content (UGC). Expand your brand story with your customers' stories.